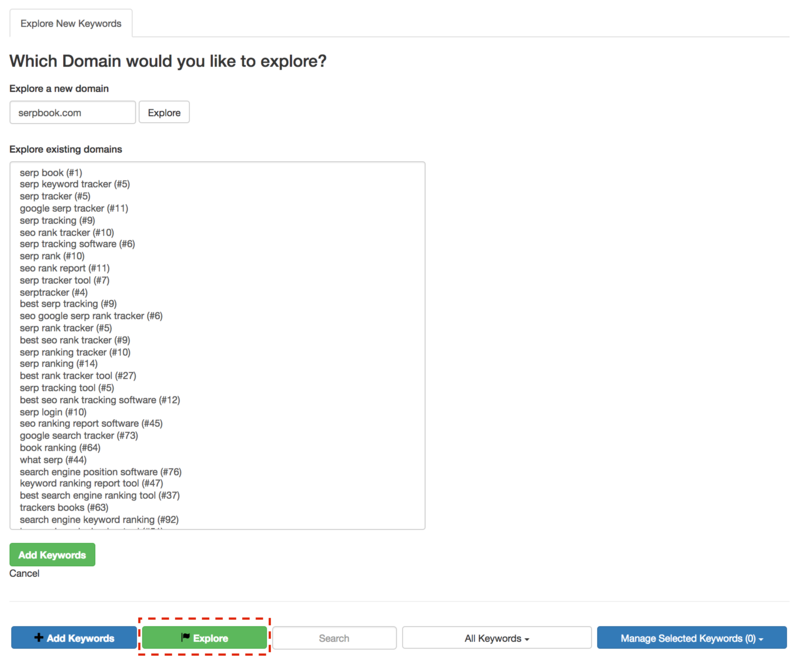 You can explore and add in new keywords you or your competitors are ranking for. Simply click on the "Explore" button to get started. You can enter in a domain to explore and it will pull up keyword suggestions. If you have existing keywords in the category, it will automatically list the domains in the category. You can also click on one of those domains to explore it.